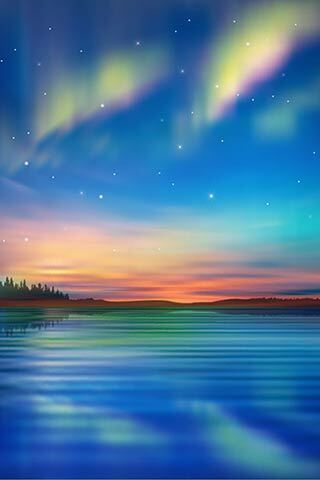 We love Alaska, and after you see Alaska our way with a unique Alaska ferry adventure, you will love Alaska, too. Alaska is BIG, and there are SO many choices of things to do and see. Alaska Our Way can help you plan your trip to Alaska because we KNOW Alaska. Choosing one of our ferry cruises or tours for the independent traveler can help you narrow the choices to some of the best options that Alaska has to offer. We built in some free days to allow you to personalize your Alaska vacation with activities you find along the way, or things you know you want to do before you get here such as fishing, hiking or even geocaching. We help you get from place to place using travel on the Alaska Ferries as well as the Alaska Railroad. Driving up in a car, truck or RV? We suggest that you ride the ferry one way and drive the other direction for the best of both options. Call us to make your reservation and confirm your space! Sign up for the 8-day Forget Me Not tour! Sign up for the 11-day Forget Me Not tour! Sign up for the 15-day Forget Me Not tour! With three options to this tour you will sail from the northwest edge of the contiguous United States, or 'Lower 48', skirting the edge of Canada's British Columbia through the Inside Passage to the ports of southeast Alaska. Several cities are ports of call on the journey north including: Ketchikan, Juneau, Skagway, and Sitka. 8 Day Forget Me Not $1540 per person dbl occupancy ($3080total) $1986 single rate. 11 Day Forget Me Not $1800 per person dbl occupancy ($3600 total). $2675 single rate. 15 Day Round Trip Forget Me Not $2388 per person dbl occupancy ($4775 total). $3629 single rate. Friday Day One begins in Bellingham, Washington where you will arrive at the cruise terminal to embark on the Alaska Ferry. The boat leaves the harbor at 6 pm, so you will need to arrive by 3 pm if you are bringing a vehicle. If you are leaving the car behind, you may get there a little bit later, at 4:30. Saturday Day Two is spent sailing the protected water of the Inside Passage along the coast of Canada’s province of British Columbia. Sunday Day Three, you will arrive to the Alaskan Port of Ketchikan, where there will be a brief pause while passengers and vehicles stopping in this port disembark and others board. There is time for you to get off the ship and partake in a walking tour of Ketchikan before the boat leaves the harbor for the next stop. The boat will make two more stops on this day, in Wrangell and Petersburg. Monday Day Four, the boat will make stops in Juneau and Haines, and then at your destination of Skagway where you will disembark. You will stay at a nice hotel in Skagway. Tuesday Day Five, you will take the WPYR (White Pass Yukon Railroad) trip to Bennett if you have a passport with you since this takes you across the border into Canada’s Yukon Territory. If you don’t have a passport, then you will take the shorter Summit run which takes half a day. Built in 1898 during the Klondike Gold Rush, this narrow gauge railroad climbs 3000 feet in 20 miles and features steep grades, cliff-hanging turns, tunnels, bridges, and trestles. Recommended is the evening performance of Days of 98, a spoof about gold hunting days in Skagway and one of the more notorious characters, Soupy Smith. We will give you a list of things to see and do. Wednesday Day Six gives you a little more time to explore Skagway and all it has to offer. After a leisurely morning and early afternoon in Skagway, you will board the Ferry in the afternoon to make the journey back to Juneau where you will spend the night in a nice hotel. Thursday Day Seven takes you out on a boat tour of Tracy Arm to see glaciers up front and active. Lunch is provided on the boat. Friday Day Eight is a free day in Juneau to explore this area for the 11 Day Tour and for the 14 Day Round Trip Tour. Day Eight is the end of the 8 Day Tour, so you will need to make flight connections for this day. You can fly straight out of Juneau back to Seattle. If you have a little more time, check out the next few days’ plan to extend your trip to include Sitka, or add on a 5 Day Denali--Anchorage segment to extend your trip to include visiting Mt McKinley. This add-on can also be included following the 11 Day Tour. Saturday The 11 Day Tour and the 14 Day Round Trip Tour continue on to Sitka on Day Nine via an Alaska Ferry. Sitka is a beautiful place with a lot of history. We will give you ideas of things to see and do. You will spend the night in a nice hotel. Sunday Day Ten is time to explore Sitka. One more evening in the hotel and the tour concludes the following morning at checkout. 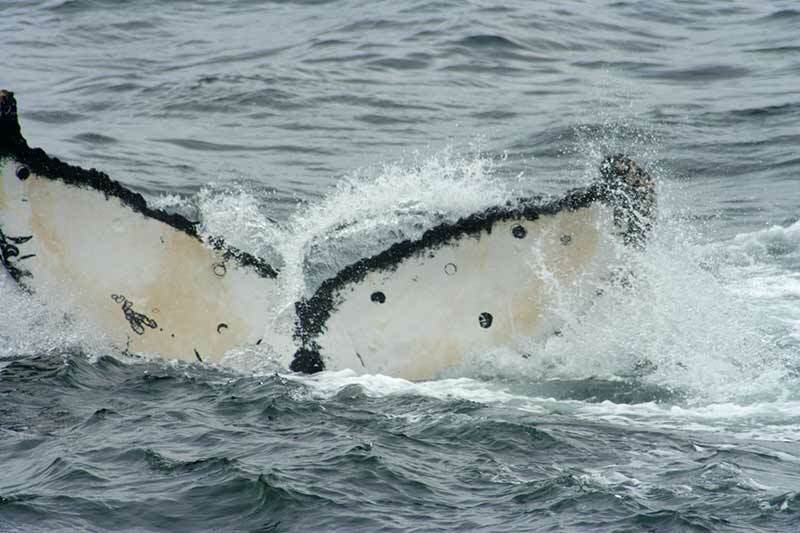 This is also a good day to request a Wildlife Cruise if you are interested in seeing whales. Monday Day Eleven is the conclusion of the 11 Day Tour. You can fly directly out of Sitka. Alaska Airlines connects to Seattle WA, leaving around 9:30 in the morning and again around 2 pm, so you have some choices. Be sure to book your flights before your trip begins. Air travel is not included in the price of the trip. The round trip version of this trip has one more night at the hotel. Round Trip Only: Tuesday Day Twelve is the last day for the Round Trip Tour to explore Sitka. You will connect with the M/V Columbia, late in the afternoon at the Ferry terminal for three days of cruising back through the Inside Passage. Round Trip Only: Wednesday - Thursday - Friday Days Thirteen through Fifteen are spent sailing back through the Inside Passage. The boat will arrive in Bellingham at 8:00 AM on Friday morning. There is a second three hour port stop in Ketchikan with afternoon hours for another chance to explore on your way back to Bellingham. Wrangell and Petersburg have one-hour port calls on the return. Sign up for the 11-day Fur and Ice tour! aka The 3 Ferry Special!!! The best times for this tour are in the months of July and August when the bears are active and the salmon is running. Put the two together, and you have the prime action of bears fishing for salmon and all the antics that accompany that. Combine this with the best glacier tour that Southeast has to offer and this trip will leave you wanting to return to Alaska to see more. 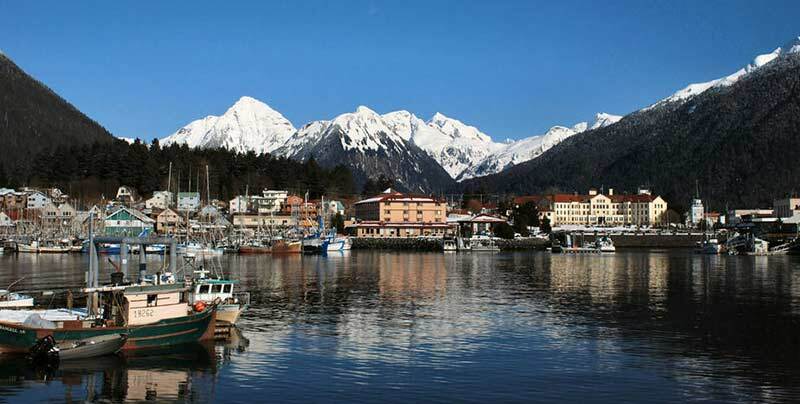 The trip concludes in Sitka where you will have the opportunity to see stunning views and walk among Tlingit totems. 11 Day Fur and Ice $2225 per person dbl occupancy ($4450 total) $3100 single supplement. Dates this tour leaves Bellingham are June 26, July 3, 10, 17, 24, 31, August 7, 14. Days 1-3 are a cruise along the Inside Passage aboard the M/V Columbia, leaving Bellingham, WA at 6 pm. The trip leaves every Friday, so finding a date that works for you is pretty easy. Day 4 marks the day of fur. You will be on your way to see the bears at the Anan Bear Observatory where you will see the bears in action, fishing for salmon, and just being bears. This is the only spot that you will be able to see both black bears and brown bears at the same time. Take something to eat on the way back to town. You will be hungry. Day 5 is another day on the water, leaving early in the morning and getting back at 1:30 in the afternoon. Today you will see ice, floating amongst blue chunks of glacier ice at Chief Shakes Lake. Taking a lunch is advised. Pick it up the day before. Day 6 is an early day when you depart on Ferry Number 2, the M/V Matanuska. The boat will travel through the Wrangell Narrows with a short stop in Petersburg. You arrive into Juneau, Alaska's capitol city just in time for dinner. You will be staying at a lovely hotel a little way out of town, but conveniently located. There are bus, taxi and shuttle services available in our Capitol city. Day 7 takes you out on the water into Tracy Arms on one of the most spectacular glacier viewing trips Alaska has to offer. Lunch is provided. Days 10-11 The 11 DAY Tour concludes following your second night at the B&B. You can fly directly out of Sitka. Alaska Airlines connects to Seattle WA, leaving around 9:30 in the morning and again around 2 pm, so you have some choices. Be sure to book your flights before your trip begins. Air travel is not included in the price of the trip. Sign up for the 15 Day Trail of 98 tour! In this adventure north into gold country you will experience a breathtaking panorama of mountains, glaciers, gorges, waterfalls, tunnels, trestles, frontier towns and historic sites. You will also get to pan for real gold! 15 Day Trail of 98 $3400 per person dbl occupancy ($6800 total). $5050 single rate. Friday: Begin your gold hunt in Bellingham WA located in the Fairhaven district. The MV Columbia awaits your arrival for a Friday afternoon check in and departure on Alaska Marine Highway Ferry with cabin accommodations as you set sail up Alaska Inside Passage. Saturday-Monday: You will experience ports stop in the towns of Ketchikan, Wrangell, and Petersburg. Arrive into the capital of Juneau where hotel accommodations are provided. Spend the day exploring/hunting in Juneau. Tuesday: Aboard an unforgettable glacier cruise through the narrow fjord of Tracy Arms. Wednesday: Ferry to the gate way of our gold hunt—arriving into Skagway with an afternoon of exploring. Hotel accommodations provided in Skagway AK. Thursday: A departure on the WPYR will take you breathtaking panorama of mountains, glaciers, gorges, waterfalls, tunnels, trestles and historic sites from the comfort of vintage passenger coaches on your way to the scenic Klondike Highway. Klondike Highway was built in 1898 during the Klondike Gold Rush. Hotel accommodations provided in Whitehorse YT. Friday: Transportation from Whitehorse along the Klondike Highway to the historic gold rush town of Dawson City. Hotel accommodations provide in Dawson City YT. Saturday: Panning for GOLD. Your day will be spent panning for gold and exploring the town of Dawson City. Sunday: Transportation from Dawson City through the 40mile Gold Mining District to Fairbanks AK. Hotel accommodations provide in Fairbanks AK. Monday: Riverboat Discovery Cruise will provide an insight into the Athabascan Indian culture and a tour through Chena Indian Village. Your afternoon will give you an opportunity to explore the town of Fairbanks. Tuesday: Aboard AKRR-adventure class from Fairbanks to Denali. 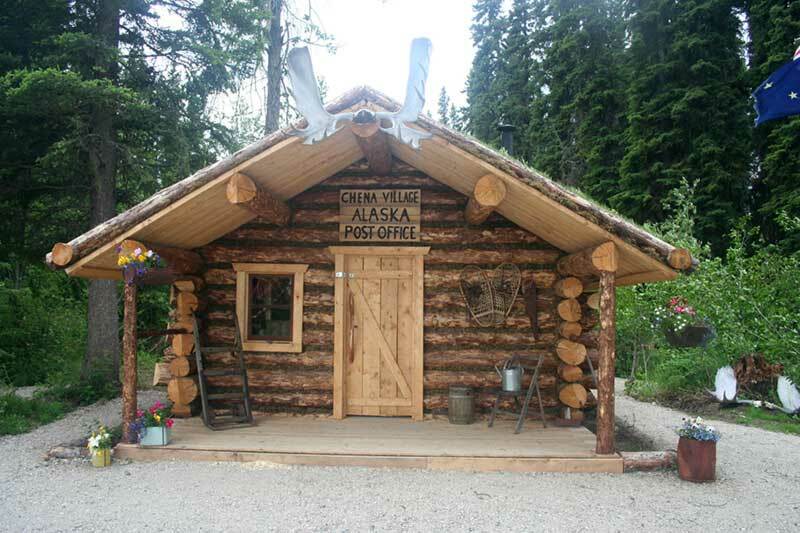 Hotel accommodations provided in Denali AK. Wednesday: Spend a full day into Denali National Park. Lunch Included. Thursday: Aboard AKRR-gold star from Denali to Anchorage. Hotel accommodations provided in Anchorage AK. Friday: TOUR CONCLUDES at checkout time. Sign up for the 8 Day Glacier Bay National Park tour! One of our more affordable trips, this trip provides a taste of Southeast Alaska as well as a "cruise" up the inside passage seeing the very same sights one would see if they were riding one of the large cruise ships that are famous for bringing large numbers of people to see Alaska. This trip also fits very nicely for the traveler who wants to come to Alaska, but has a limited time to do so. This is a one week trip of seven to eight days. 7 Day GB Saver $1663 per person dbl occupancy ($3325 total) Single rate $2300. Day One is a Friday where you will depart Bellingham, Washington aboard the Alaska Ferry, leaving the harbor at 6PM. Two days later, the boat will reach Ketchikan. During the port stop, you will have time to explore the town via the "walking tour" a self-guided tour of all the highlights. Some of the things to see and do in Ketchikan include seeing the Saxman Native Village, Totem Bight State Park, Potlatch Totem Park, Tongass Historical Museum, Totem Heritage Center, Southeast Alaska Discovery Center, Great Alaskan Lumberjack Show, Creek Street, Misty Fjords, and Classic Tours, to name a few. The next day, the boat makes its way through several more port stops, finally arriving at Skagway, the gateway for the folks who made their way to Alaska in 1898 in search of gold. You will spend a night in Skagway, ride the White Pass Yukon Railroad to the Summit, a half day trip following the pathway of the gold seekers, and then return to Skagway where you will then connect to a flight to Gustavus in Glacier Bay National Park. Flightseeing provides a unique perspective and a greater understanding of the movement of the glaciers and their impact on the surrounding terrain. You will spend two nights in Glacier Bay at Glacier Bay Lodge. Spacious and inviting with giant wood beams and cathedral ceilings, the lodge is located on the shore of Bartlett Cove. Meals can be purchased at the dining room. The second day will be spent on the water of Glacier Bay on a cruise of the glaciers and wildlife. This is the only day tour allowed inside the boundaries of the park. Your journey takes you to the face of the Margerie and Grand Pacific Glaciers, two of 16 tidewater glaciers found in the National Park. The 8 hour tour is fully narrated by a National Park Service interpreter. Lunch, beverage and a souvenir mug are included. Shuttle transportation is provided by the Inn. You will leave Glacier Bay via the Alaska Ferry M/V Leconte which will bring you back to Juneau, Alaska's capitol city. You will be staying at a hotel outside of the city which is convenient to the airport, ferry and the Mendenhall Glacier. Shuttle service and a continental breakfast are included. Your tour concludes here in Juneau, so you will want to make your flight connections for flying from Juneau to Seattle, the hub for connections to the rest of the world. Sign up for the 5 Day Denali National Park tour! As a stand alone trip or as an add on to one of the Inside Passage trips, a visit to Denali National Park takes you to the vicinity of the highest mountain in the United States of America. Denali National Park, in the heartland of Alaska is accessible from Anchorage or Fairbanks. If you are adding it to one of the Inside Passage Tours, the connections are made from taking the ferry to Whittier or flying from Juneau or Sitka. 5 day Denali Park $1100 per person dbl occupancy ($2200 total). Ask for single rate. Day One starts when you fly into Anchorage where you will overnight in a nice hotel in preparation for your journey to see Denali. On the morning of Day Two, you will depart Anchorage on the Alaska Railroad. Sit back, relax and enjoy the journey through stunning scenic wild, panoramic vistas. You can't beat the sweeping views of Denali, award-winning glimpses of color-brushed tundra and chance sightings of moose, bear, eagles, swans, beavers and an occasional fox. When you arrive in Denali National Park, you will check in to a nice establishment for the next two nights with a complimentary continental breakfast to start the day and outdoor hot tubs to soak in at the end of the day. Day Three starts early, but it is worth it. This is the day you will journey into Denali National Park with a full day of narrated exploration. Lunch will be at the Backcountry Lodge at the end of the road before heading back to your lodging. Day Four of this jaunt to Denali has a half day of free time before leaving via motor coach to ride back to Anchorage and a nice hotel before connecting with your flight home, or beginning your next adventure. Sign up for the 8 Day Aleutian Chain tour! Cruising the Aleutian Chain is 8 days long. The "cruise" starts and ends in Homer, Alaska and leaves every other Tuesday during the summer, returning the following Tuesday. Here is a chance to ride the ferry M/V Tustumena to Dutch Harbor aka Unalaska and back. Spend the first day of the tour in Homer visiting the Islands and Oceans facility. The boat leaves the harbor at 10:30 PM, so you will wake up in Kodiak the following morning where you will have time to disembark from the boat. 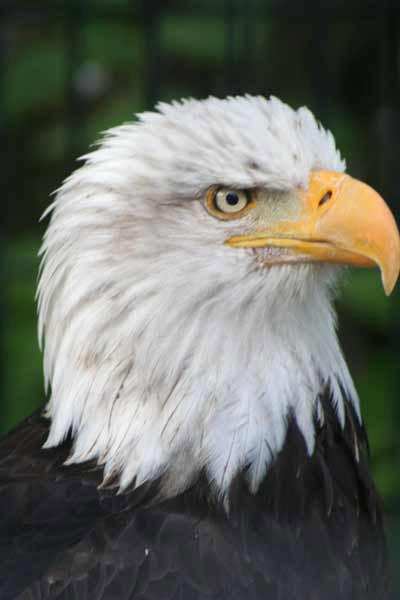 Check our extras page for ideas of things to do in Kodiak. From there, the boat journeys out the Aleutian chain. There is enough time in Dutch Harbor for a short historical guided tour. Rates start at $1063 per person dbl occupancy with a 2-berth cabin and traveling round trip. For two people traveling one way and flying to Anchorage from Dutch Harbor, the rate for the ferry is $1063 with a 2-berth cabin. Single rate with 2 berth cabin is $1424. Lodging in Homer or Dutch Harbor can be added. Vehicles can be left free of charge for a week in certain areas on the Homer Spit. We recommend booking this tour in the fall since cabins sell out fast. Most cabins on this boat have shared facilities. You can also choose to take a tent and camp in the Solarium. Showers are available in the main facilities. Camping rate is $712 per person.